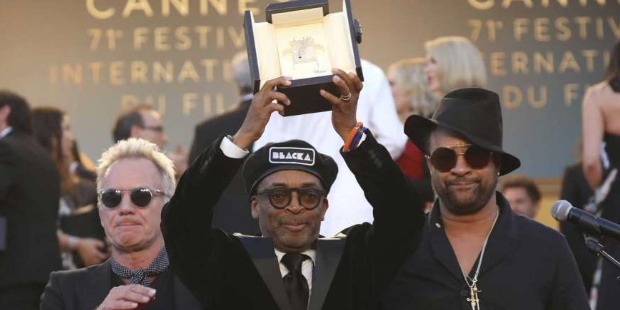 American film director, producer, writer and actor Shelton Jackson ‘Spike’ Lee won the Grand Jury Prize at the 2018 Cannes Film Festival for his film ‘BlacKkKlansman’. 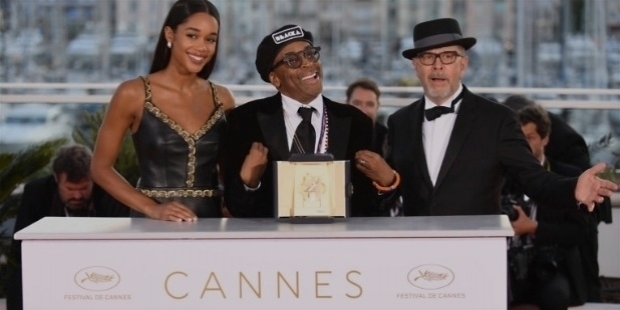 The film was touted as the highest profile American film in competition at Cannes 2018. “I take this on the behalf of the People’s Republic of Brooklyn, New York,” stated the American director. 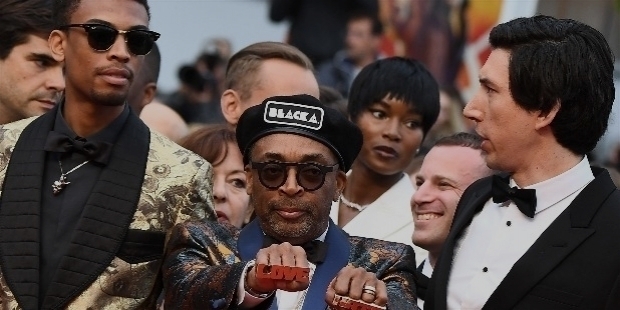 ‘BlacKkKlansman’ is the true tale of a black police detective, who infiltrated the Ku Klux Klan. The film ignited the festival audience for its brilliant portrayal by Lee. The director connected the film to modern day, with real footage from the last year’s violent white supremacist march in Charlottesville, Virginia. “As an African American filmmaker, I was completely taken by the film. I have imbibed every film he has ever made. It was startling and stunning! When I walked into the jury room, I decided to listen to my jury members. It was a robust dialogue about emotion and energy from these artists, from all over the world. We were united by the love of cinema. 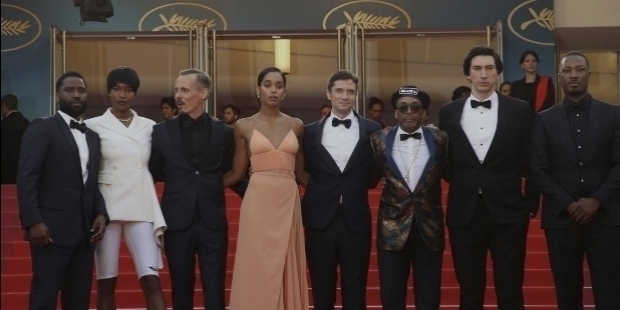 There were questions, specifically about the African-American experience and this moment we are in, in America,” revealed Ava DuVernay, fellow jury member. Shelton Jackson ‘Spike’ Lee was born on the 20th March 1957 in Atlanta, Georgia. His father, William James Edward Lee III was a jazz musician and composer. Shelton Jackson’s mother, Jacqueline Carroll née Shelton worked as a teacher of Arts and Black Literature. He has three younger siblings – Joie, David and Cinqué. They all work under Lee in his films in various positions. During his early childhood, Shelton Jackson’s family had moved to Brooklyn, New York. Shelton was fondly called ‘Spike’ by his mother Jacqueline. He studied in John Dewey High School in Brooklyn's Gravesend neighborhood. After schooling, he went to Morehouse College, which was a historically black college. It was the beginning of his filmmaking journey. 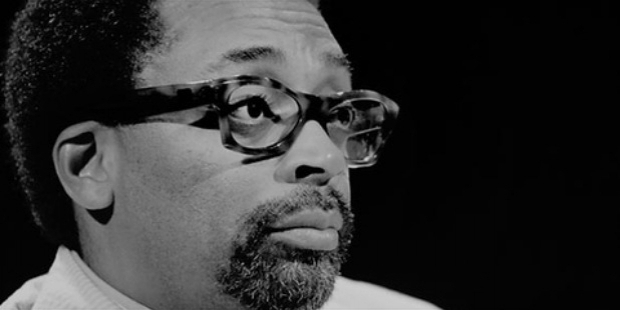 Spike Lee’s first student film was titled ‘Last Hustle in Brooklyn’. A gifted filmmaker, he was destined for greatness in the film world. While he was graduating as a B.A. 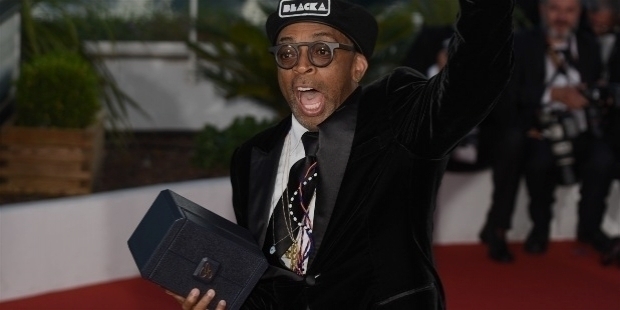 in Mass Communication from Morehouse College, Spike took film courses at the Clark Atlanta University. Spike earned his Masters in Fine Arts in Film and Television from New York University’s Tisch School of Arts. Shelton Jackson ‘Spike’ Lee’s thesis film ‘Joe's Bed-Stuy Barbershop: We Cut Heads’ at Tisch School of Arts became the first film made by a student, which was showcased in Lincoln Center's New Directors / New Films Festival. Earlier to this film, Spike had made two short films – ‘The Answer’ and ‘Sarah’ in 1980 and 1981 respectively. Lee wrote, produced, directed and acted in his first feature film ‘She’s Gotta Have It’. The film was released in 1986. Spike shot the film in just two weeks, with a meager budget of $175,000. The film grossed over $7,000,000 at the U.S. Box office. In 1988, he once again repeated the feat of being the writer, producer, director and actor in ‘School Daze’. ‘Do the Right Thing’ in 1989 also had Lee donning the various hats, with great success. ‘4 Little Girls’ a documentary about the children killed in the 16th Street Baptist Church bombing in Birmingham, Alabama in 1963, in 1997 was nominated for the ‘Best Feature Documentary’ at the Academy Award. Shelton Jackson "Spike" Lee’s Production Company – ‘40 Acres and a Mule Filmworks’ has produced 35 plus films, since 1983. Lee’s movies have amazingly showcased and explored race relations, colorism in the black community, the role of media in contemporary life, urban crime and poverty, and other political issues. Spike Lee’s versatility and brilliant craftsmanship has seen him directing music videos of Michael Jackson, Prince, Anita Baker and Eminem. Lee has shared and imparted his experience by teaching the younger generation of filmmakers at Harvard in 1991. In 1993, he went back to Tisch School of Arts as the Professor in the Graduate Film Program. Spike was appointed Artistic Director at New York University’s Tisch School of the Arts in 2002. In 1992, Spike met his future wife Tonya Lewis, an attorney. The two dated and fell in love, to be married by 1993. 1994 saw the couple blessed with a daughter Satchel. Three years later, son Jackson was born in 1997. The family lives on the Upper East Side of Manhattan. Lee’s production office is located in Fort Greene, Brooklyn. The filmmaker is a fan of New York Yankees, the American baseball team. He also follows New York Knicks, the basketball team and the English football team Arsenal with great interest and passion. Lee believes in the existence of a higher being. Shelton Jackson ‘Spike’ Lee has received two Academy Award nominations, a Student Academy Award and an Academy Honorary Award from the Academy of Motion Picture Arts and Sciences. He has won two Emmy Awards, two Peabody Awards, an honorary BAFTA Award, an Honorary César and the 2013 Gish Prize. Early in his career, Lee had won the Student Academy Award for his film ‘Joe's Bed-Stuy Barbershop: We Cut Heads’. He had also won awards at the Black Reel Awards for ‘Love and Basketball’, the Black Movie Awards for ‘Inside Man’ and the Berlin International Film Festival for ‘Get on the Bus’. He has been nominated twice for Academy Awards. However, Lee has never won at the Oscars. In November 2015, he was conferred an Honorary Academy Award for his invaluable contributions to filmmaking. 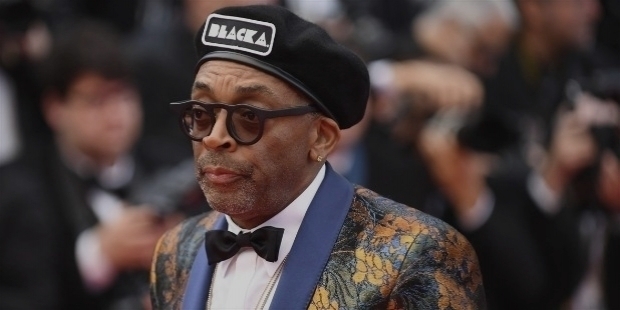 At the 50th San Francisco International Film Festival in 2007, Spike Lee was honoured with the San Francisco Film Society's Directing Award. 2008 saw him receiving the Wexner Prize. In 2013, Spike won the ‘Dorothy and Lillian Gish Prize’, which is considered as one of the richest prizes in the American arts worth $300,000.